So you’ve gotten into woodworking, own a couple of hand tools and have made a few small projects. 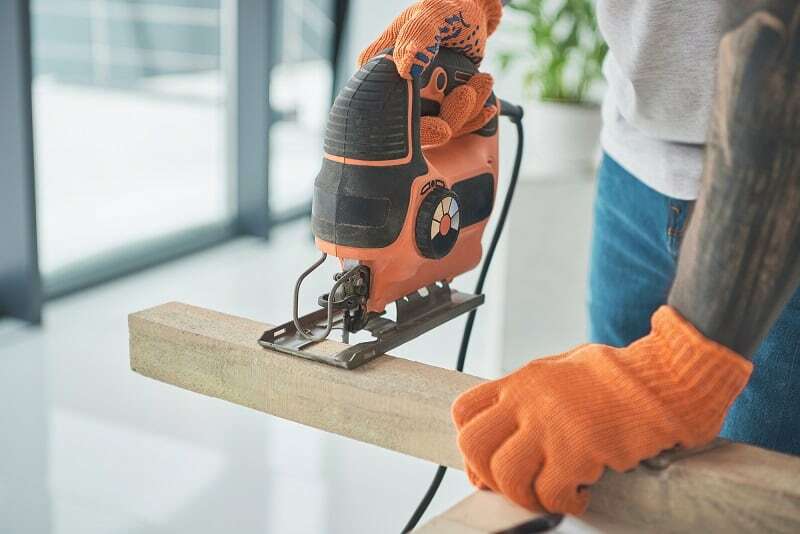 But maybe you feel that your regular old handsaws could cut a little faster, or that sanding by hand takes more effort than it’s worth... but power tools are complicated and expensive. Not exactly. Power tools will let you take your woodworking to the next level. 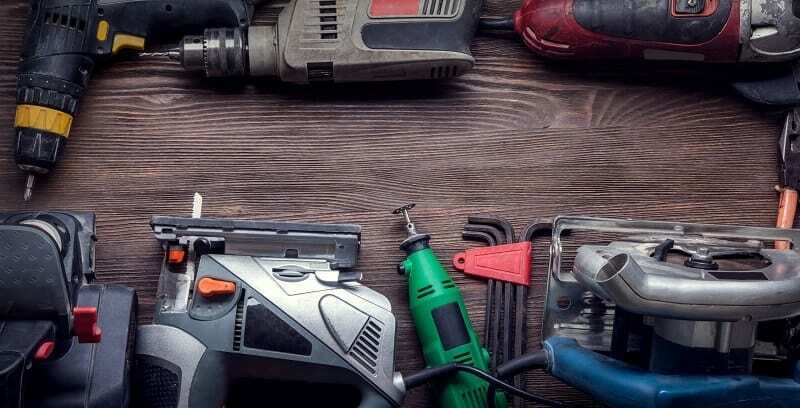 Yes, the world of power tools can be vast, complicated, and costly. 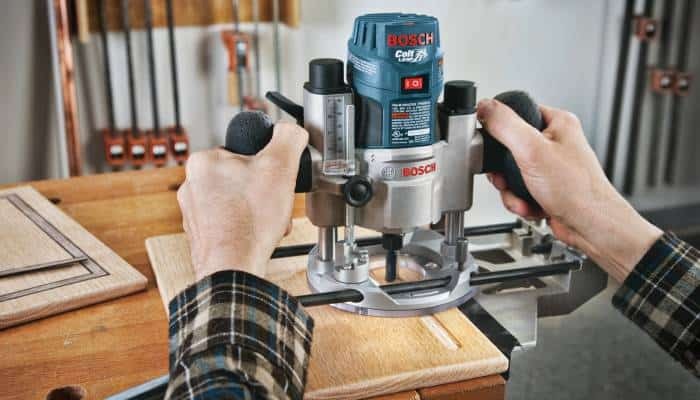 In this article, we’ll lay out ten power tools perfect for the beginner woodworker. Let’s say we want to build a nice wooden table. We’re new to the whole woodworking thing, or at least to power tools. The first thing we need is wood. Duh. 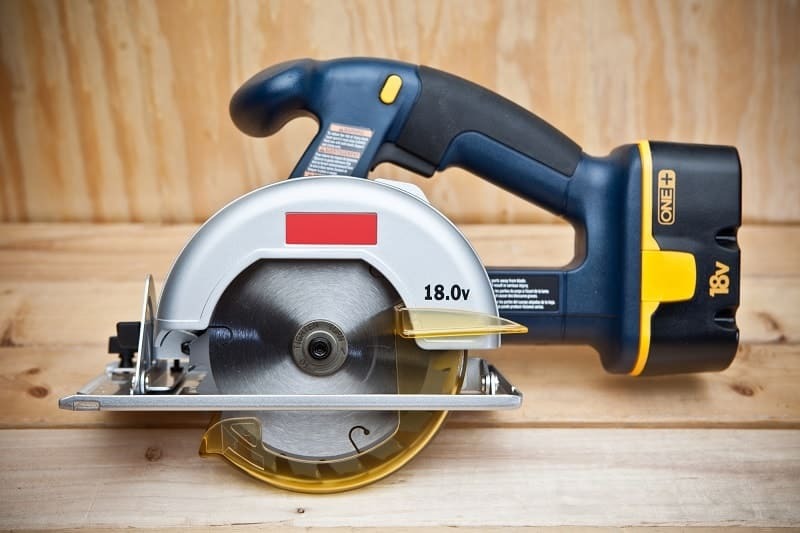 A circular saw is a handheld rotary saw. It uses a large, circular blade to cut wood very efficiently. Handheld circular saws are relatively cheap; they’re portable; they’re versatile. Handheld circular saws can make many of the cuts a tablesaw can, without breaking the bank or taking up too much space. The circular saw cuts in a straight line, and will be able to make quick work of long stock boards. Cutting sheet goods like plywood. Let’s continue with our table. Now that we’ve cut our boards to the right size with the circular saw, we’re going to put the pieces together. You can’t use screws if you don’t have a power drill. Power drills use a spinning bit to drill holes in wood and then screw screws into those holes. The chuck size can vary, you can have a keyed or keyless chuck, and they can be corded or cordless. Corded drills are more versatile and less expensive than cordless, but cordless are more portable. Keyless chuck is the way to go, otherwise you risk losing the tightening key. The drill is the yin to the circular saw’s yang. The circular saw cuts apart, the drill brings together. It’s how you attach the tabletop to the table legs. Anytime you want to use screws, you need a drill. So now we’ve got our imaginary table all screwed together. ...but it turns out we want a round table. The jigsaw can help us. Using a relatively small blade that moves up and down very quickly, the jigsaw cuts much faster than a normal handsaw. They’re smaller than handheld circular saws, perfect for tight workspaces. Unlike the handheld circular saw discussed earlier, the jigsaw can cut curves as well as straight lines. You can also start a cut from the middle of a board (drill a hole and drop the blade in). They’re essentially handheld bandsaws. Some jigsaws can make bevel cuts (cuts at an angle to the board). With the ability to make straight, curved, and bevel cuts, jigsaws could easily be number 1 on this list. Get a corded jigsaw with orbital action for good measure. A variety of changeable blades cut many materials in addition to wood. Many can make bevel cuts. With the circular saw, drill, and jigsaw, we’ve pretty much got the table we want. And I bet it’s a pretty good looking piece of work too. But we can do better. Next we’ll sand it to make it nice and smooth before painting or finishing it. We can spend four hours sanding it by hand, or we can buy a Random Orbital Sander and spend 20-40 minutes. Random orbital sanders use velcro-attached sanding disks and move in random patterns across the grain of the wood you’re sanding. Find one that feels good in your hand, and make sure you can easily buy more sanding disks as they do wear out. First of all random orbital sanders decrease sanding time by a LOT. Their random movements also decrease the risk of sanding marks on your wood. Because they’re so efficient, they create a lot of dust. Some come with dust collection systems built right into them, which is very handy! Sanding wood quickly and efficiently. The table saw is the heart of the woodshop. It may be the most important purchase that you make, so listen carefully. A table saw is basically a circular saw placed in the middle of a table. Guides, fences, and jigs used together with the table let you make some seriously cool cuts. Always use proper safety measures. Table saws are dangerous and many people have lost fingers or worse. Rips, cross-cuts, miter-cuts, squaring, dados, rabbets, and more all done with one machine. That’s a table saw. You can make jigs to cut tapers and straighten edges like a jointer. You can cut tenons, half-lap joints and do other basic joinery. The table saw does a lot of stuff. It’s the tool you’ll use the most as a woodworker, guaranteed. Save up for this one, no skimping. Imagine attaching the circular hand saw to a robotic arm that would hold it at an angle for you. That’s essentially what a compound miter saw is. The compound miter saw makes it laughably easy to cut miters and bevels. A miter cut is an angled cut relative to the edge of the wood. Imagine cutting a PB and J sandwich “the diagonal way” into two triangles. A bevel cut is an angled cut relative to the face of the wood. Imagine a normal flat board, and cutting so one side becomes a ramp. Technically, you can do bevel and miter cuts with a handheld circular saw. The compound miter saw can do both... at the same time. And do them quicker, easier, and more accurately. A router is a handheld tool that uses a spinning cutter attached to a flat base. The router uses a variety of router bits to complete a variety of tasks. Routers have two types of bases: fixed and plunge. Fixed is probably fine for a beginner, and plunge will give you a little bit more wiggle room. A router will let you cut grooves in a piece, profile edges, and shape your wood. You can even use it to drill holes and recess hinges. Routers can be paired with a plethora of bits and jigs to do just about any job you can think of. Their only limit is your creativity. A jointer is a long table with a set of rotating blades in the middle that stick up just a tiny bit. The more projects you do, the more you’re going to want a jointer. When you slide a board across the table, the blade shaves a thin layer off of the board. Jointers are used in milling. That is, turning rough boards into smooth, square ones. It goes without saying that jointers are the most specialized--and least versatile--machines on this list. But, milling nice square boards is crucial to high quality woodworking. Cutting one flat face on rough boards. Cutting one flat, square edge. Surface planers, similar to jointers, use rotating blades to shave off wood from the face of a board. So, you’ve got a rough board. You send it through the jointer, and you’ve got a clean flat face and a clean square edge. You can just send it through the jointer again to flatten the other face, right? If you send it through the jointer, the faces probably won’t turn out parallel. The jointer has no way of ensuring that two faces are parallel, just that one is flat. The surface planer makes sure your second face comes out flat and parallel to the first. Then you can square the last edge on the table saw and boom, you’ve got a squared board. If your boards aren’t square, your measurements will be off, which means your cuts will be off, and you’ll end up with wasted wood. Making sure boards all have the same thickness. A bench grinder is a spinning grindstone, used for grinding chisels and plane irons before sharpening. The spinning wheel grinds a concave space into your chisels and plane irons. That just means you have to do much less work when you polish your hand tools on your sharpening stones. The most important part of owning tools is making sure they stay sharp. Taking good care of your chisels, gouges, and plane irons will ensure that they do their jobs cleanly and efficiently. The sharper your hand tools are, the safer they are. They cut cleanly without much force. The more force you use, the easier it is to slip up and hurt yourself. A bench grinder allows you to cut your sharpening time in half, and that means you get to spend more time actually working! Found it helpful. Help out others!